Baniabbass, Z., adibifard, N., Esfandiari, M., Hassanpour Avanji, S. (2014). Assessment of Climate Change Impact on Irrigation Water Requirement of Sugar Beet and its Growth Period Length in Kermanshah Province. International Journal of Advanced Biological and Biomedical Research, 2(4), 1232-1238. Zohreh Baniabbass; Navid adibifard; Mehrdad Esfandiari; S.R. Hassanpour Avanji. "Assessment of Climate Change Impact on Irrigation Water Requirement of Sugar Beet and its Growth Period Length in Kermanshah Province". 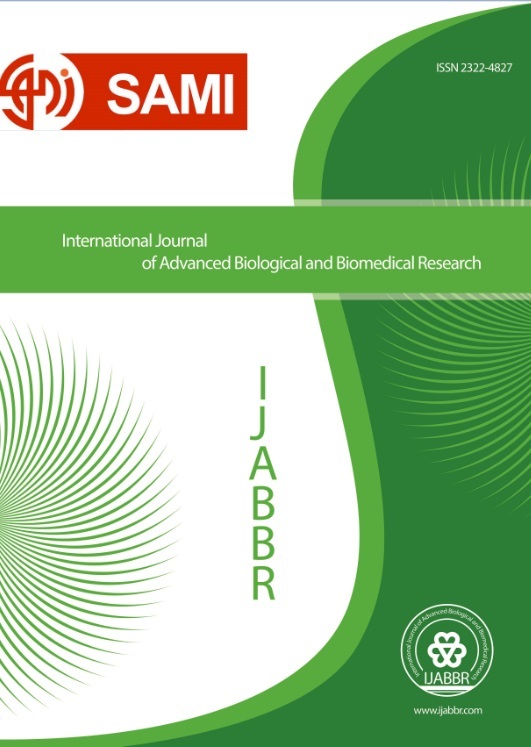 International Journal of Advanced Biological and Biomedical Research, 2, 4, 2014, 1232-1238. Baniabbass, Z., adibifard, N., Esfandiari, M., Hassanpour Avanji, S. (2014). 'Assessment of Climate Change Impact on Irrigation Water Requirement of Sugar Beet and its Growth Period Length in Kermanshah Province', International Journal of Advanced Biological and Biomedical Research, 2(4), pp. 1232-1238. Baniabbass, Z., adibifard, N., Esfandiari, M., Hassanpour Avanji, S. Assessment of Climate Change Impact on Irrigation Water Requirement of Sugar Beet and its Growth Period Length in Kermanshah Province. International Journal of Advanced Biological and Biomedical Research, 2014; 2(4): 1232-1238. Today climate change is one of the most important human concerns This fact affected human life in different ways . one of the most important impacts of climate change is on crops yield so that change in temperature regime particularly maximum and minimum temperatures is noticeably change plants production . in this research , is considered to impact of climate change on water requirement and growth period length of Sugar beet in Kermanshah province .it is used by climatic model outputs CGCM3 and HADcm3 named scenario A2 . assessment of water requirement is established by Fao, Penman , Mantis equitation .for minimizing scales of climatic model outputs of data was used SDSM .results showed that by increasing of temperature resulting from climate change in the future , decreased growth period length of Sugar beet. Also water requirement of Sugar beet in future period based on increasing temperature resulting from climate change is noticeably increased .